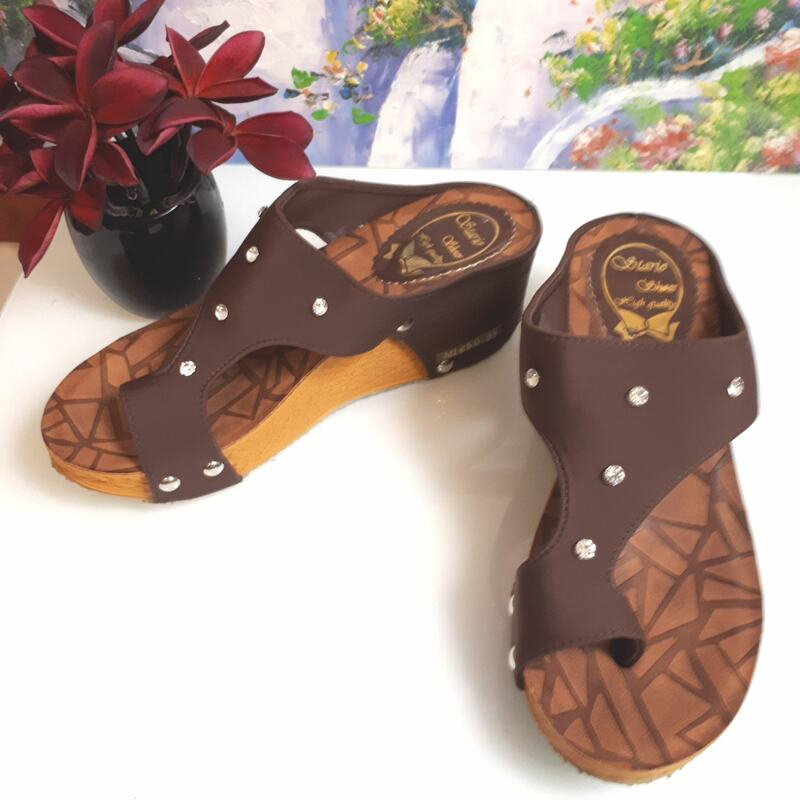 Beautiful Ladies Wedge Sandals available in black and brown. Comfort Heel. All synthetic sole, upper and lining. 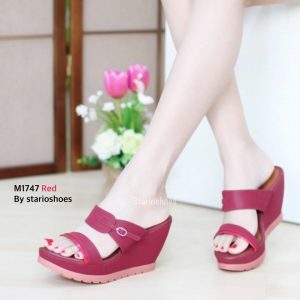 Mid height heel with no slip rubber sole.